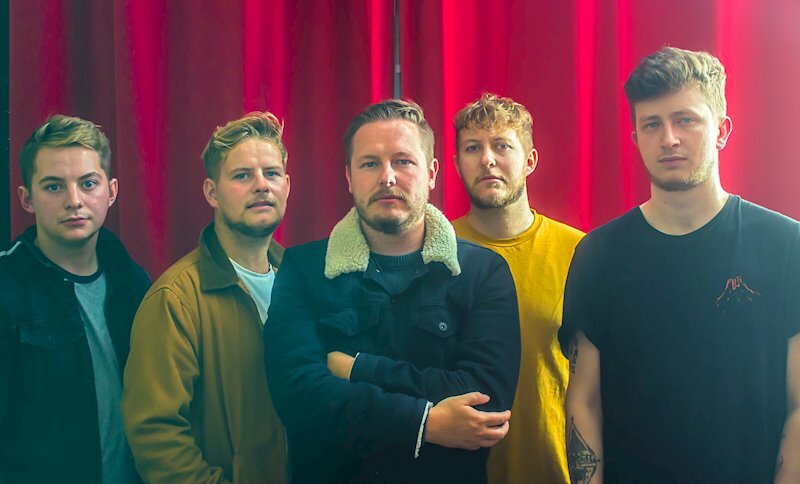 OCEANS APART - Release New Video "Talk Of The Town"
Brit newcomers OCEANS APART are braced to strike out to the UK, armed with a sound that has already racked up favourable descriptors likening the spirited fivesome to everyone from You Me At Six, Deaf Havana and Don Broco. OCEANS APART have just released a new single, Talk Of The Town, which is backed by a stunning video. Formed from the ashes of a series of popular Leicester based bands, the members of OCEANS APART have already cut their teeth within the scene, and yet still maintain a completely fresh vibe and unrivalled work ethic. Spawned last Summer, and consisting of blood brothers Leon Harrold (bass), Kyle Harrold and Jordan Harrold (guitars), and long-term friends Ash Ingram (vocalist) and Kyle Palmer (drums), OCEANS APART deliver a live show that unleashes a barrage of riffs, contagious hooks and high energy. The band’s new single, Talk Of The Town, is a calling for fans of contemporary alt-rock; it’s powerful, fast-paced and infectious. OCEANS APART will play a glut of shows throughout the Spring and Summer. Be sure to look out for the band’s debut album which is primed to drop in 2019.